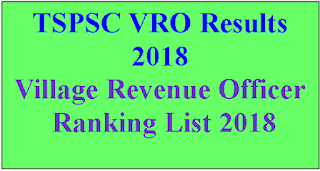 TSPSC Telangana State Public Service Commission Released (VRO 2018) Village Revenue Officer Results on 06-12-2018.And Ranking lsit/ Merit List on 08-12-2018. 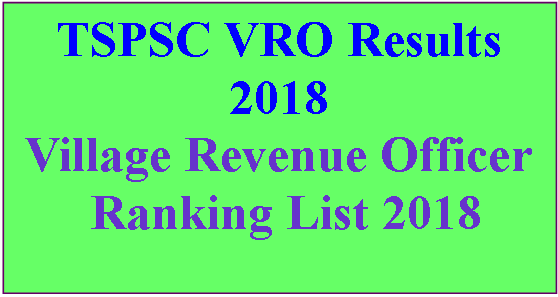 TS VRO 2018 Results And Ranking List/ Merit List Released And Available Now. TSPSC has conducted written examination for recruitment to the post of Village Revenue Officer in Revenue Department notified vide Commission’s Notfn No.13/2018 on 16/09/2018 FN & AN. 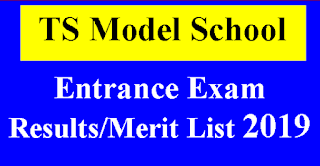 The Merit List of this notification is prepared and is made available in the Commission’s Website, the details of which are as follows. 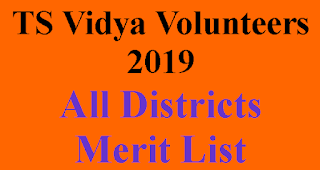 No.of Candidates added in merit list is 738885.